Loving, caring, kind, generous, out-going and enthusiastic individuals are always welcome to apply for an Old Dominion Animal Hospital career. 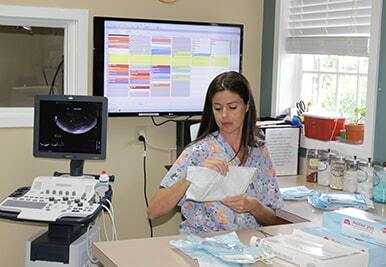 It’s our staff and technicians that make our veterinary clinic so exceptional. Many of the people who work for us began their Old Dominion Animal Hospital career with little more than dedications and a passion for animals. Through the years, we have kept so many of these employees because we reflect that passion and encourage them to be their best. We pride ourselves on offering the finest care anywhere. If you want to be part of a team that works at making pets healthy and their people happy, give us a call! Contact Meredith, our office manager, at 434-971-3500.